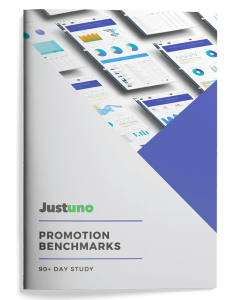 With billions of intelligent data points at its core, Justuno’s advanced behavioral targeting rules allow you to segment and target your audience in the most efficient way possible. Target behavioral segments based on any number of consumer characteristics like geographic location, website behavior, or previous purchasing behavior. Our targeting rules break down your existing traffic into segmented audiences so you can target them with a personalized experience, not just a message. Target users based on their device of choice and even track your visitors across devices so you can serve a consistently relevant experience at every step. Offer shipping discounts, announce store openings, or show messaging with local colloquialisms to visitors based on location. Get as granular as a zip code or as broad as a country. Using our advanced analytics and visitor intelligence data, you can target traffic on your website based on site behaviors such as pages visited or collections browsed. 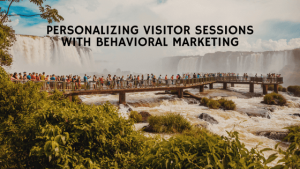 Behavioral targeting and segmentation work hand-in-hand so you can provide your visitors with a next-level user experience that is designed to convert. Justuno’s suite of conversion tools utilizes proprietary visitor tracking technology and layer in intelligent visitor data at every level to give you actionable insights. Utilizing our advanced rule sets ensure your promotions are actively targeting visitors with the most relevant content, at the ideal time to close a sale. Let’s say Veronica is a VIP-shopper, spending over $100 every time she visits your site. Betty is a less consistent shopper and spends only $20 every other time she visits your site. Both are customers. Both are important. But it doesn’t make sense to offer the same reward to both. With advanced behavioral targeting rules, you can use different messaging and rewards based on a visitor’s Average Order Value (AOV). With these rule sets, your business rewards those with a higher Customer Lifetime Value (CLV), while still encouraging others to checkout — boosting both your bottom line and cultivating loyalty. Only about 22% of businesses are satisfied with their conversion rates. Are you one of them? Well, don’t stop now — you’re on a roll! Check out our other top features and discover just how granular you can get with your audience segmentation and targeting. Check out our other behavioral targeting resources below so you can school your competitors (and maybe a co-worker or two).